Halloween marks the beginning of one of my favorite seasons of the year! The holiday season! Or as I like to call it — the season of sweet treats! This year I’m really trying to be smart about holiday treats and so I’ve got a few simple ways to have a Healthy Halloween with your kids. Don’t worry, I’m not going to tell you to throw all the candy away. I might be trying to make better choices, but I’m not crazy! These tips are sponsored by Crest. Earlier this year I shared some of my favorite take care of yourself quotes to share how I’m working on my self-care in addition to my dental care. There are so many parts of ourselves to think of, especially during the busy holiday season. 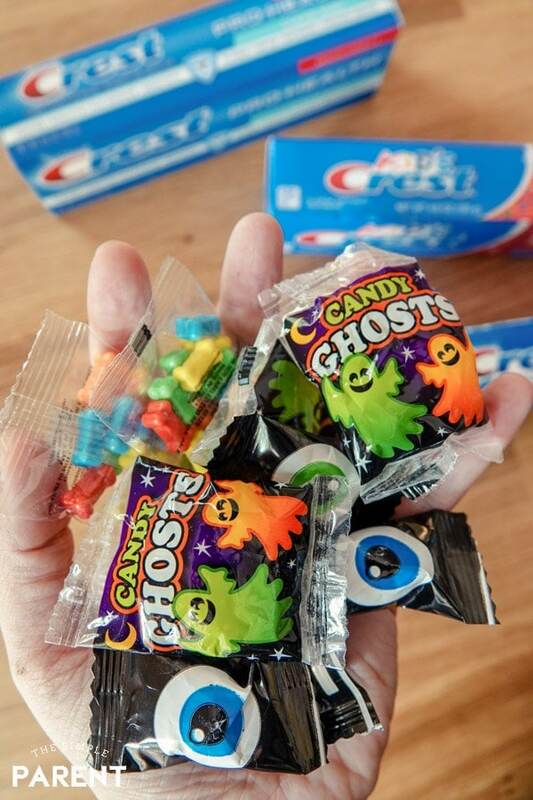 But when it comes to Halloween and all of that candy (which I love as much as my kids), I’m thinking all about how to protect everyone’s teeth. Even if you just use a few of these simple ideas, you’ll help keep those pearly whites doing well. I’m not going to recommend completely avoiding the candy and sweet treats. I know for me, if I do that then it’s the only thing I can think about. My goal is to limit the number of sweets we’re all eating this year. That means no candy bowl sitting out and that the Trick or Treat bags get put away on the top shelf of the pantry. 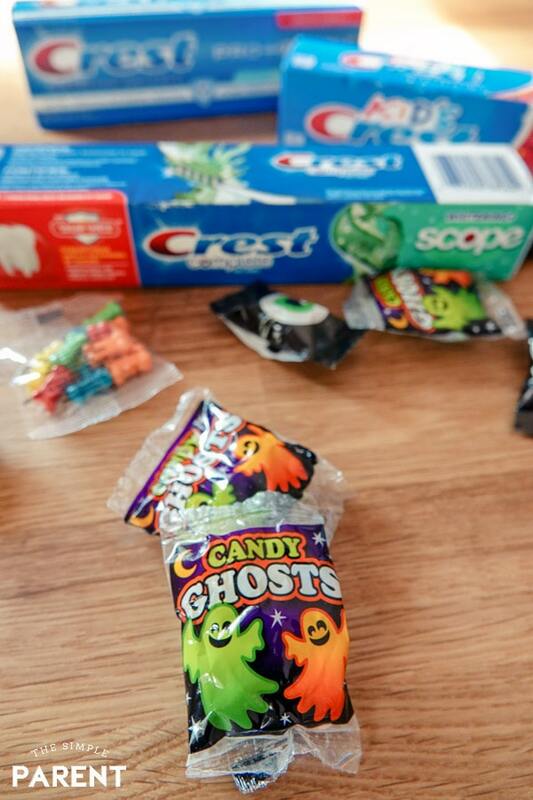 Crest found that 86% of parents eat candy that was given to their child while trick-or-treating. So it’s not just about limiting the kids! I need to watch myself too! I definitely fall into this statistic! The average parent eats one-fourth of their children’s Halloween candy. I’m aiming for less than that this year! If you’re looking for an easy way to limit the amount of candy you have in your house after Halloween, turn it into a giving opportunity for your kids. Many dentists and orthodontists will collect candy after Halloween to send to military overseas. There are also a variety of organizations who collect candy for the troops. Have your kids sort through their candy and choose some to keep and some to give! 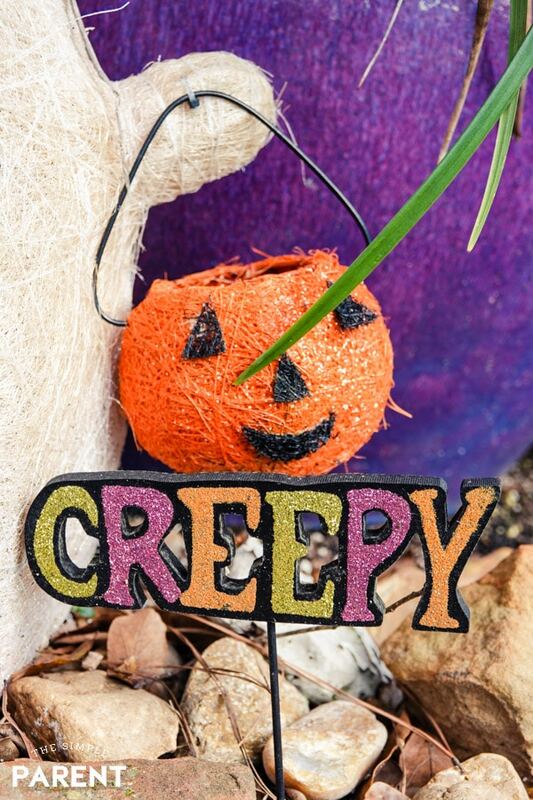 It limits the amount of candy in your house and also helps you have a healthy Halloween mentally and physically as we get into the spirit of giving. Recently I learned that the best time to enjoy some of that Halloween candy is with a meal or just a little bit after you have a meal. When you eat a meal, saliva production goes up and that can help rinse out food particles and bacteria in your mouth. It’s a good way to make sure all that sugar isn’t hanging around. The type of candy you eat can have an impact on your teeth. Hard candy that stays in your mouth for a long time can increase the risk of damage to teeth. Sticky candies like taffy and gummies can also increase the risk because they take longer for the saliva to wash them away. I guess I’m sticking to peanut butter cups! This is a season full of treats which means we need to stick to our daily habits. Crest found that only 48% of adults enforce a stricter teeth brushing/flossing routine on Halloween for themselves. However, 70% parents enforce stricter teeth brushing/routines on Halloween for their children. I know sometimes when the kids are on vacation from school, I let things slide a bit. But not when the kids are munching on candy, cookies, and other goodies. I need to stay on top of things for ALL of us! I also am trying to make sure we keep our physical activity levels up too. It’s the perfect time of year for getting outside with the kids so we do it as often as we can! I’m on a mission not to be dealing with cavities at the end of this sweet season! We all know that Halloween wouldn’t be quite the same without the candy. Crest brought some kids together to prove this point. Check out what happens when the kids are asked to test out some healthy alternatives! I think my children would fit right in with these kids! 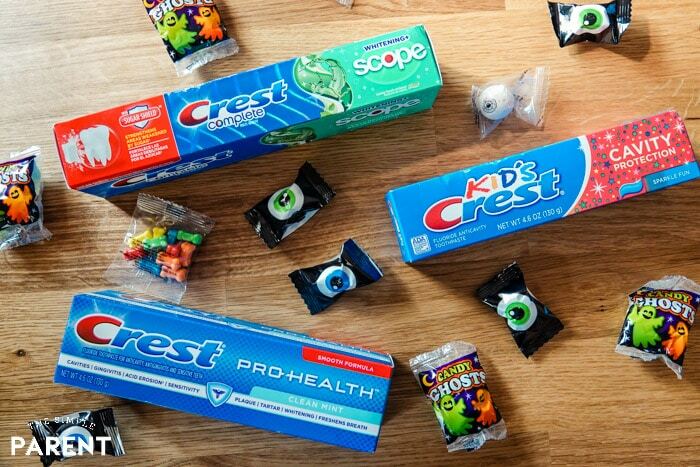 If you’re looking for a way to save while working towards a healthy Halloween, Crest has you covered! With products for the entire family, everyone can take great care of their teeth! 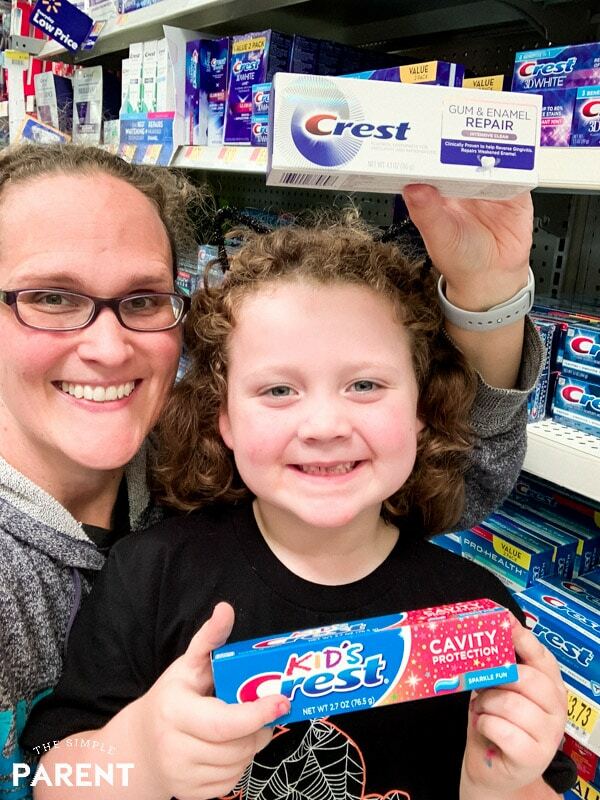 My kids love the Crest toothpastes which makes it easy to get them to brush their teeth! 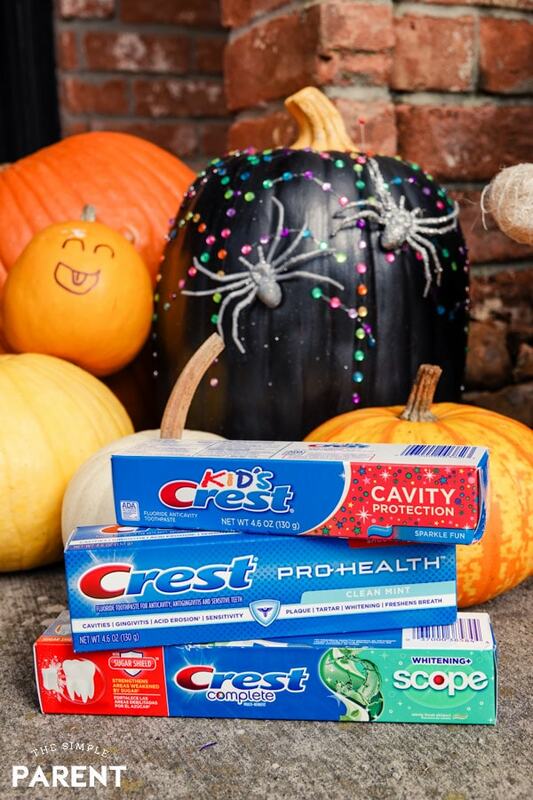 Crest definitely has us covered this Halloween! There are a few ways for you to save on Crest products this holiday season! On 10/28, you can find a $1-off coupon insert in your local newspaper that will be good through 11/11! There’s also a great Ibotta deal valid through 12/4! You can get $2 back when you purchase Crest Gum & Enamel Repair Toothpaste. (This happens to be one of my favorite Crest products!) Click here to take advantage of it! Then hit Walmart to take advantage of some great ROLLBACK pricing! 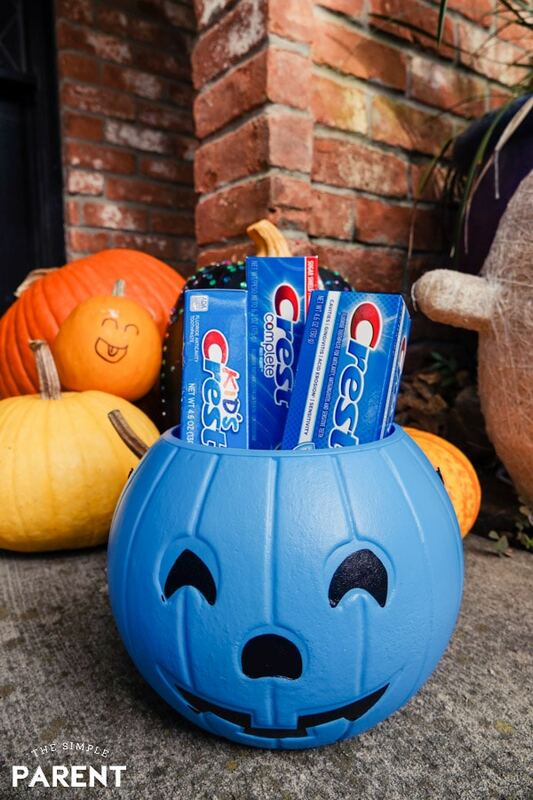 With help from Crest and by being prepared with an easy plan, we can all protect our teeth while still enjoying a healthy Halloween! « Gingersnap Reindeer Cookies That Are So Easy to Make!